Back in Tasmania and King Island Dairy for this next cheese - which has got to be one of my favourites. 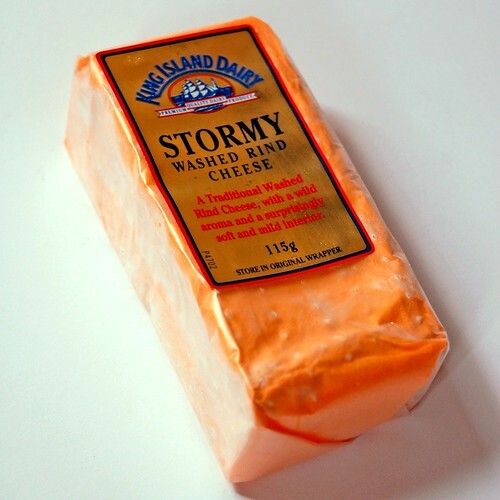 King Island Stormy is a washed rind cheese, similar in style to the Pont L'Eveque from Normandy. The one most obvious characteristic you'll notice with this cheese is it's smell. Yes, it stinks but in a nice way. It's not an unpleasant aroma but I'll offer this bit of advice, do not store it in a fridge that is not your own. 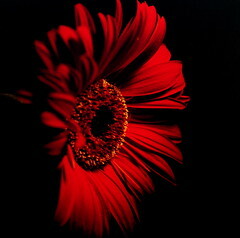 It's described as having "a wild aroma", I tend to use the term earthy. It's the type of scent that you will get to used to and I do hope it doesn't put people off because I really want you to try it, just be aware. The cheese has a thin white mould that hints to the saffron skin that lies behind. The rind is mild and perfectly edible. You'll also find, which is probably most surprising, that the cheese is creamy, sweet and mild in taste - something you wouldn't have expected based solely on it's aroma. It's a firmish cheese that slices quite well. 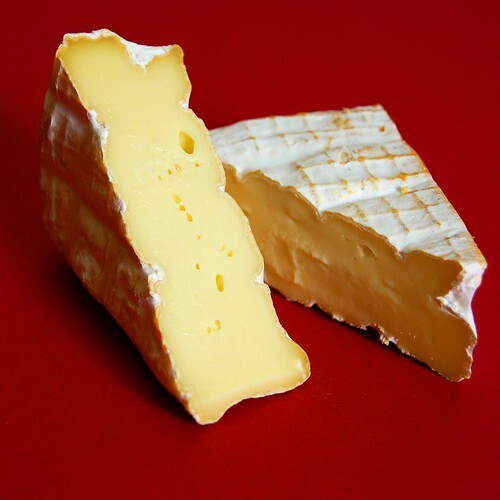 It also was awarded Champion Washed Rind Cheese at the 2006 Australian Grand Dairy Awards. I really do hope that if you have the opportunity that you'll give this cheese a try and maybe you'll love as much as I do. I saw an ad about this cheese on my Donna Hay magazine, december issue. I was curious about it.